Earlier this month, Japan’s Cabinet officially adopted a new Basic Energy Plan, the first energy plan since the 2011 Fukushima nuclear disaster. Since returning to power in December 2012, the Liberal Democratic Party (LDP) and Prime Minister Shinzo Abe have worked to revitalize Japan’s nuclear industry. The new Basic Energy Plan declares that nuclear power is a key source of base load power and promotes the restart of Japan’s nuclear reactors. With U.S. President Barack Obama’s upcoming visit to Asia, it is vital for U.S. leaders to keep abreast of nuclear developments in Japan and the rest of Asia, since U.S. and Japanese nuclear futures are tied to each other. While not explicitly articulated by national policy, some of the key factors likely driving the Abe government’s recommitment to nuclear power should be examined. First, Japan lacks domestic energy resources, and nuclear plants appear to be the only currently deployable, non-fossil fuel source of base load power. Second, to compensate for the loss of nuclear generation, Japanese utilities have increased imports of fossil fuels at great cost. According to the U.S. Energy Information Administration, Japan is the world’s top importer of liquefied natural gas, second leading coal importer, and third largest net oil importer. Nuclear power could reduce fossil fuel dependency and increase energy source diversity, which also increases Japan’s energy security. Third, Japan’s recommitment to nuclear energy is a response to the unabated regional trend of nuclear expansion in Asia. In sum, a consistent source of base load power is seen as critical to Japan’s domestic and international economic prowess and standing among the world’s major powers. All of Japan’s nuclear reactors are currently shut down and must pass safety inspections by the new, independent Nuclear Regulation Authority (NRA) – a welcome post-Fukushima nuclear governance reform – before being allowed to restart. Local governments also play a role in allowing reactor restarts, and public opinion polls show that a majority of Japanese still oppose nuclear power. This anti-nuclear sentiment has not translated to the ballot box, as demonstrated by the convincing wins by the pro-nuclear LDP in the lower and upper house elections in December 2012 and July 2013, respectively. Even if reactors pass NRA inspections, there likely will be difficult political struggles ahead, but the new Basic Energy Plan clearly reaffirms the central government’s support of nuclear power. To bridge the gap between public sentiment and government agenda, there is a serious need to have a candid conversation in Japan on the links between nuclear energy and continued economic prosperity. To push this agenda forward with public support, Japan should look to align its manufacturing targets with its base load generation needs. For Japan, the issue is not only about market growth, but preservation of manufacturing capability in key industrial sectors. Integral to the discussion on why a consistent source of base load generation is vital for Japan is the need to openly address governance issues, including corruption and regulatory capture. It is incumbent upon the central government and global nuclear industry players to convince the public of the safety of nuclear plants before being able to go forward with the nuclear revitalization called for in the Basic Energy Plan, and this starts with allowing the NRA to strictly enforce safety standards and represent public concerns about nuclear safety. Despite domestic debates over the use of nuclear power, support for maintaining Japan’s position as a leading exporter of nuclear technology remains strong. 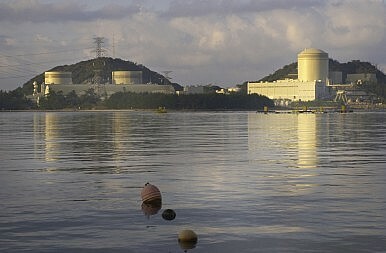 Japan faces several strong competitors in the global nuclear marketplace, including neighboring South Korea and Russia. China also may emerge as a major nuclear exporter after developing its domestic industry further. It is in Japan’s interest not only to support robust nuclear safety standards domestically but also to encourage similar standards around the world. To maintain a prominent role as a nuclear exporter, Japan must actively work to mitigate the reputational risk associated with ineffective or corrupt nuclear governance globally. The United States, which has seen its own nuclear renaissance stagnate, has a vested interest in how Japan revitalizes the nuclear industry. Japan and the United States have close nuclear ties through Toshiba’s ownership of Westinghouse and Hitachi’s partnership with General Electric. These ties also provide channels for Japan and the United States to learn from one another regarding nuclear governance, innovation, and resilience. Japan can learn how the United States improved operations and safety practices after the Three Mile Island accident in 1979, while the United States could learn from Japan’s persistent energy planning and industrial resilience, even in the face of difficult political and economic conditions. Expanded nuclear power use in Asia, especially in China, will have significant implications for global nuclear power development, nonproliferation, and regional security. Japan and the United States have reputations as leaders in nuclear technology and nonproliferation but now must address how to mitigate the reputational risk associated with domestic market uncertainty. Leadership and “nation branding” in nuclear energy are at stake, and robust U.S.-Japan nuclear cooperation will be necessary if a stable nuclear order in Asia is to be achieved. Overall, Japan’s nuclear industry has proven resilient in the face of strong public opposition and difficult economic conditions after the Fukushima accident. How Tokyo engages the Japanese public domestically and promotes nuclear growth abroad will be critical to revitalizing nuclear power and powering Japan’s economy. It would behoove Obama to engage Abe on issues of nuclear governance, industrial cooperation, and regional nuclear developments. Melissa S Hersh is a Washington, D.C.-based risk analyst and Truman National Security Fellow. James E Platte, PhD is a Washington, DC-based international relations analyst. When Womenomics Meets RealityOECD’s Tough Love For AbenomicsWill History Repeat in Japan?Could Abe Call a Snap Election?Can the UN Save Japan’s Shrinking Food Exports?